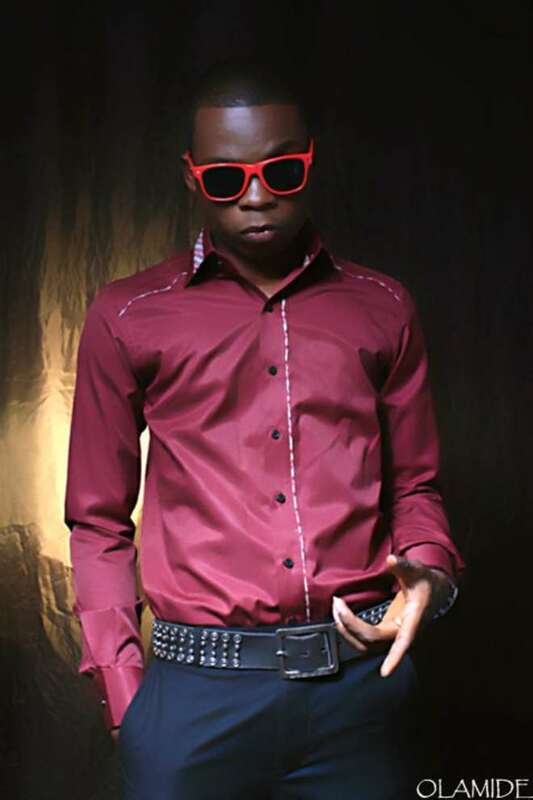 Olamide With the birth of his hit track 'Eni Duro' Olamide has become one of the fastest growing rappers in Nigeria. In this interview with Odu Black, Olamide talks about the joy of being famous, fears and the challenges he had to overcome before hitting stardom. Your new single 'Eni Duro' just hit the limelight and you are already nominated for the Nigerian Entertainment Award in the United States of America. Promoters are seeking you often for shows. How does it feel? I feel so happy and blessed. In fact I am overwhelmed. I feel like this is it! I look back and I say 'Olamide your time has finally come.' Every day brings forth a new challenge and I am enjoying it. Did you believe big things will come your way this soon? I knew I would make it but sincerely speaking, I never believed I would make it soon. You have been a studio rat for a good number of years and you saw all manner of talents in the studio. Was there ever a time you felt the competition out there would be too tough for you? Staying in the studio and seeing all sorts of talents come into Cabasa studio to do their songs helped me realise how competitive the music industry is. It made me work harder, it made me pray fervently. I woke up every morning knowing that what God deposited in me is enough to take me to places. I never had a moment of doubt that my talent isn't good enough for the Nigerian music market. The biggest challenge I had to overcome was the issue of time. I knew I had it, my big boss and producer believed in me but everybody kept saying wait for the right time before putting out your songs. I kept asking myself when this right time will come. All the same, I thank God I had the patience to wait and I am better off for it now. How did you know the time had come for you to launch out your career? The thing is, when the time came even my body felt it. In short, miraculous things started happening. Favours came from left, right and centre. The biggest confirmation I got was when the organisers of Hip Hop world Award called me for a performance last year. I said to myself this is it. Because as at that time I had no video and my single was still fresh on air, it felt really cool to start my performing career on such a platform. Can you share the experience that led to the birth of your hit track 'Eni Duro'? You know, whenever I am with ID Cabasa, it's like magic; we make music real quick. So when he said to me I should get ready to put my first single out, I was like, I cannot wait. You know, 'Eni Duro' literarily means, I cannot wait. From talking about things I cannot wait to see happen in my career we came out with the track. I think the entire beats took ID Cabasa about 30 minutes to put together; it was real quick. A lot of your fans do not know you were once known as G-Dog during your early days in music when you rapped only in English. Did your change of name in anyway inform the fusion of Yoruba into your rap? Ah! How did you know about the GDog name? Anyway, I started rap when I was very young. Let's say between 11 and 12 years of age. I just took up that name without thinking about it. But as I grew in the game, I felt the need to keep it simple and connect with my people. That is why I changed my name from G-Dog to Olamide. You had more young stars in your album than established artistes, what informed the choice of musicians you collaborated with? I just decided to work with people that the entire Coded Tunes felt convinced had something to offer the album. I will like to talk about the inclusion of 9ice in this album-'Rapsody', I collaborated with 9ice because I wanted people to know that I have no issues with him. So, if you have no issues with 9ice, what do you think gave rise to the rumour? A line in my song says, “I am goodlooking but my ways are so wicked”. Remember 9ice had used a similar line in his song but in a reverse form when he said “you are good looking but your ways are so wicked” so, people started saying I came out to let 9ice know I am ready for a fight with him, that was why I re-used his line in a reverse form, which is not true. Today, you are signed onto Coded Tunes, but we have seen a lot of acts abandon music labels that discovered them. What would be your relationship with Coded Tunes? Being a member of Coded Tunes is an unbelievable experience that goes beyond music. I can never leave Coded Tunes for any label in Nigeria. The only thing that would make me think of leaving them is if I have a foreign music deal from the likes of Bad Boy Records or Convict Music. What is that one experience you can't forget in your life time? I will pick an incident that happened in the studio a few years back. I was in the studio when this senior act came in to record a song and he said he was hungry. Who else will he send to buy food if not me who was the youngest in the studio? The money he gave me was not enough for his meal so I decided to use my own money and pay. I even used my own money to pay for transportation. When I got back to the studio with the food, guess what this guy said to me “Cabasa, tell this your boy to give me my change, if he wants money he should tell me and I will give him but he shouldn't use trick and steal my money. I almost got angry, but one look from ID Cabasa calmed me down. Today, the guy is one of my biggest fans and he is planning to do a song with me. Today, you have gone past such things and have become a star, how are you handling the ladies? The fact that I mount the stage and they are screaming 'I love you!' doesn't mean I should take them for granted. I love and respect them because they are my friends and fans. I am at present a part-time student at the Tai Solarin University of Education but I must confess, school is suffering right now but I know I will overcome. What is your biggest fear as a young music star? Without thinking about it, it is arrogance. I am so scared of becoming arrogant and proud. It's not easy because when you work in the street, you hear people say, guy you are good, we love your music and all of that. No matter how humble you are, there is that temptation that you will want to relax and enjoy the praises, before you know it, arrogance will set in.